Following Confederation in 1949, the government began to focus on improving the quality and accessible of education. By the late 1950s, a bursary program was set up to offer qualifying students the opportunity to move away from home to attend a regional high school. Max passed the qualifying test and left his one-room schoolhouse on Ship Island to attend grade nine in Buchans, a mining town in central Newfoundland with a population of more than two thousand people at that time. 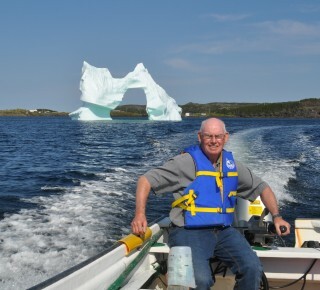 After completing high school Max spent one year as principal at St. Peter’s School, a three-room schoolhouse once located beside St. Peter’s Church in Twillingate, before going on to attend Memorial University in 1964. During the summer, Max would return to Herring Neck where he spent his summers fishing to pay his way through school. At twelve dollars per quintal (one hundred and twelve pounds), “you’d have to handle a lot of fish to get $1,000,” said Max. 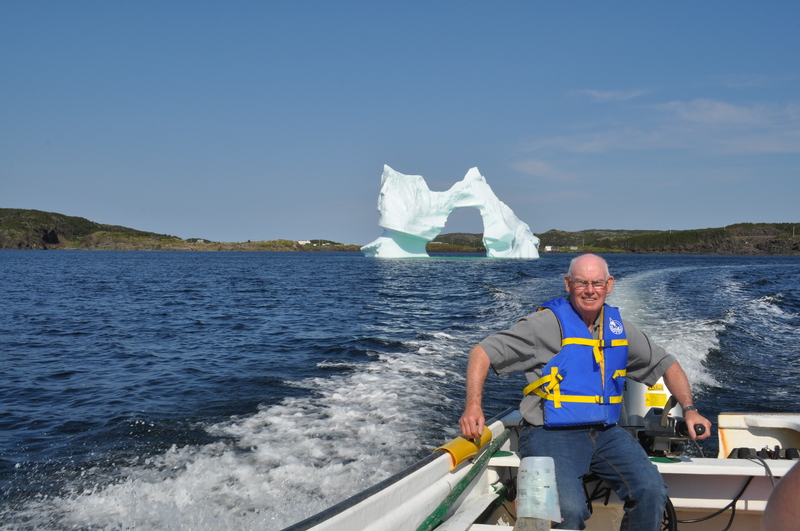 Following university, Max became a teacher at Twillingate Central High (renamed J.M. Olds Collegiate in 1980). “My first boat was a sixteen foot speed boat. And every year after that I built one, I would say, during the whole thirty years I was teaching. Some years I built two.” Max estimates he’s built about forty boats, all speed boats aside from a handful of rowboats he built in the later years. “I don’t think there was ever one built the same. I always change it, try to make it better. Sometimes it made it worse…” Max laughed. Very interesting story . Similar to my own . I went teaching at Long Beach in Trinity Bay when I got out of high school and went to university in the fall of 1964 and was a teacher for 30 years after that . 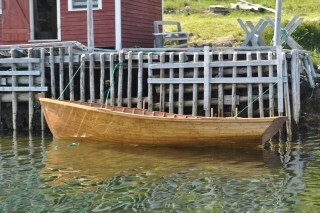 Max has an obvious love for boats and boat building, according to the picture have done some fine looking ones.